A coalition of community advocates protesting the proposed $535 million TIF for Port Covington. The proposal is the second one in three years involving the controversial method to finance redevelopment projects in Baltimore City. Baltimore is about to deal with another controversial tax financing package for re-developing part of the city. This time it’s a $535 million deal for Kevin Plank’s Sagamore Development, which is proposing a huge mixed-use project at Port Covington in South Baltimore. If you ask around on the streets, you’ll find that most people have heard something about this project. For example, Richard Winder, of East Baltimore, heard about the project on television. “They advertise how they want to build more jobs, help the community out and just get Baltimore back on the right track,” he said. But neither Winder nor Edgehill knew about this TIF that Sagamore plans to use to pay for part of the project. Fortunately, there’s John Rennier Short, a professor at University of Maryland Baltimore County’s School of Public Policy, who can explain it. In this case, Sagamore is asking the city to float bonds to pay for public infrastructure - roads, sewers, parks and such – in the mixed use development on 260 acres. In addition to housing, office and retail space the project would include a new headquarters for Under Armour, Plank’s sportswear company. Sagamore would use property taxes generated by the project to repay the bonds. It sounds simple. But Short says TIFs can get pretty complicated. “The basic notion is that local governments, city governments will borrow money on the basis of future revenue – increased revenue – however, that means the loans are still outstanding; so you still have to pay them off,” he explains. That generally means the city is still on the hook to repay the bonds if tax revenues fall short of estimates. TIF arrangements can be opaque; prompting criticisms from both conservative and liberal economists. “The right-wing says it’s a distortion of markets and the left wing says it’s subject to cronyism and it’s a kowtowing to major developers, who basically say, take the deal or drop dead,” says Short who adds that cities like Baltimore are trying to revive their economies are regular on the receiving ends of such ultimatums. Short says you ultimately have to dig into the details of a TIF deal, which can include tax breaks for developers, affordable housing requirements or local hiring mandates. City Councilman Carl Stokes chairs the committee that oversees proposed TIFs. He has scheduled a hearing for Thursday, May 19 to educate the public about them. Stokes is not the only one trying to educate the public. Sagamore produced a video explaining what a TIF is for their website promoting the Port Covington project. The board of the Baltimore Development Corporation approved the TIF last month. 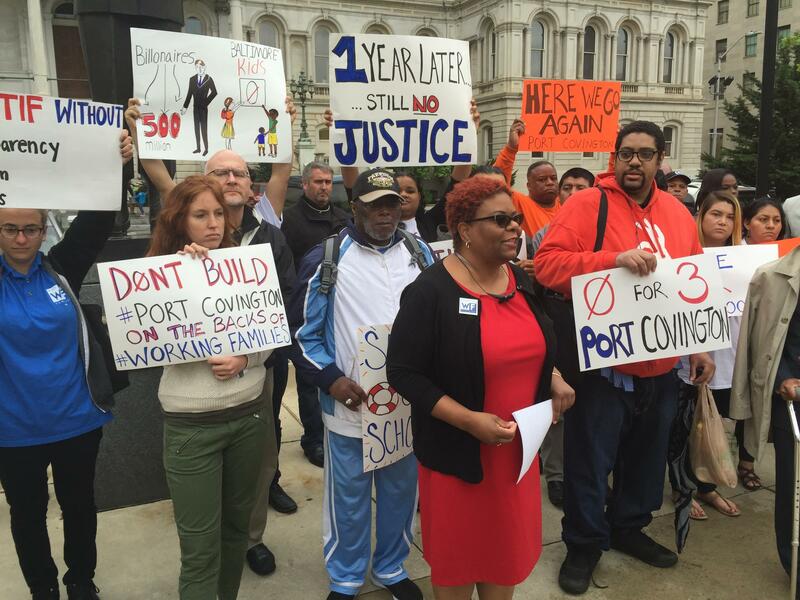 The city’s Board of Finance is expected to put finishing touches on the proposed Port Covington TIF next week before sending it to the council.